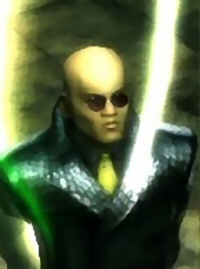 Yesterday, Morpheus gave an uncommonly democratic series of speeches throughout the Mega City. Morpheus stood on public street corners making urgent appeals to Merovingian and Machinist alike to return to the fold of humanity. Thousands of people gathered to listen to a characteristically measured and somber speech about the imminent peril that mankind finds itself facing these days. The force of his words was punctuated by a visual revelation of a partial RSI that Morpheus claims is an image of The One. Your efforts have brought humanity closer to a lasting salvation! Those of you that have gathered these fragments know, as I do, that some quality of Neo exists within each one. As we hold these fragments in our hands we can feel his emotions and hear his thoughts. Day after day, as we gather these fragments, the One's purpose becomes increasingly clear. Despite the Machines' refusal to return his body, Neo's will cannot be denied. Behold! The One is amongst us again! As you can plainly see, we are rebuilding Neo's RSI. How could anyone believe, in the presence of this manifestation, that Neo did not anticipate our need? 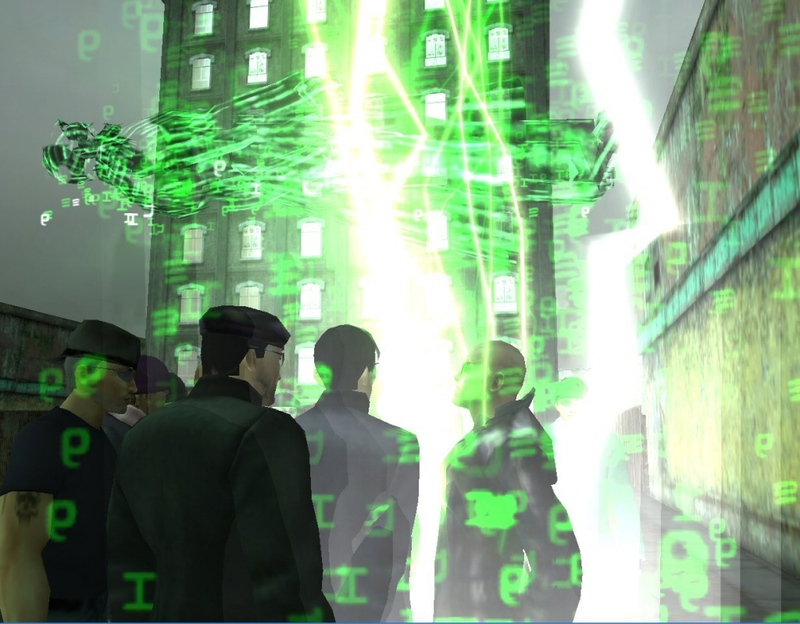 Humanity was saved by Neo's sacrifice, and yet, in a brief span of time we are choosing to court our own destruction. With the freedom that Neo won for us, we are making choices that imperil all humanity. Some Redpills, with their newfound freedom, are choosing to walk by the side of the Merovingian, lured by the promise of luxury. Some Redpills, with their newfound freedom, are choosing to walk by the side of the Machines, lured by the promise of power. Yes, some of these Redpills are, even now, gathered amongst us. I say to those Redpills, behold the echo of Neo. Remember his sacrifice, and return to humanity's one true home, Zion! 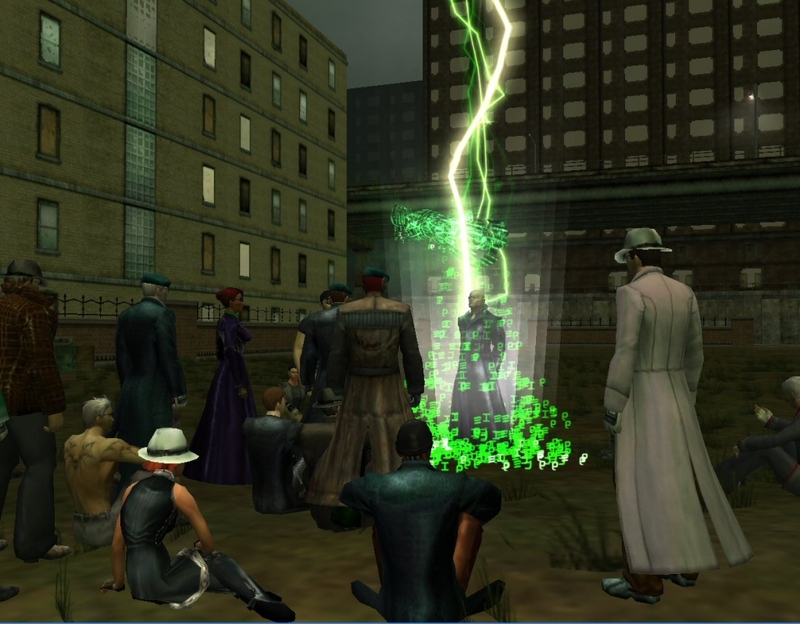 Prove your loyalty to humanity, by gathering the remaining fragments and delivering them to Zion. Only when Neo's RSI is fully repaired will we all discover what the One intends. I must go, there are others who must hear this, must see this. 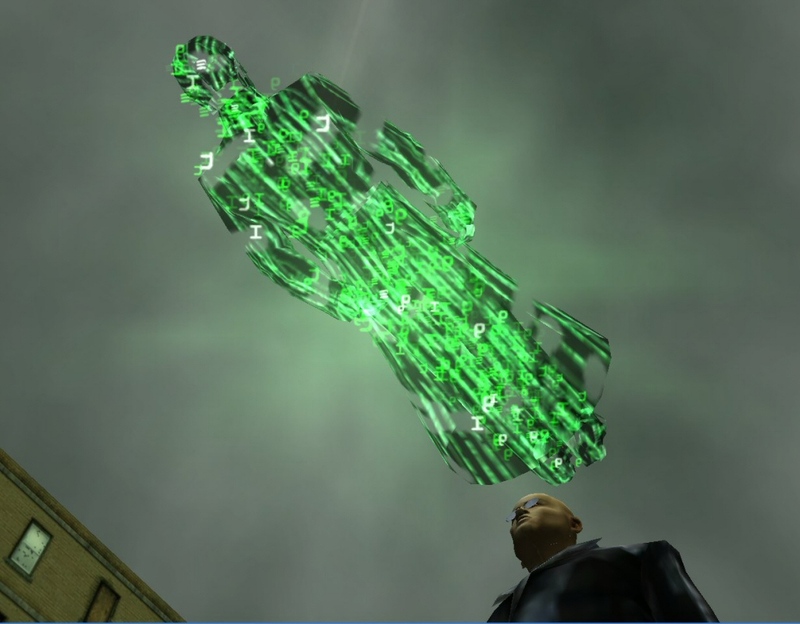 The potent symbol of Neo and the zeal of Morpheus' words triggered a feverish surge in Zionite fragment collecting yesterday, resulting in the Zionites numerically surpassing the Merovingian on four servers, bringing their total server lead to five (Proxy, LineNoise, Enumerator, Heuristic, and Regression). However, the Merovingian factions are unwilling to admit defeat and the race remains exceedingly close. Morpheus' bold call for the return of mankind's recreant flock to a cohesive Zionite camp implies dissolution of all other Organizations. This dismissive attitude toward the other Organizations, coupled with increased Zionite activity, is certain to incur the ire of opposition Organization leaders. A Merovingian operative warns, "There is a very real danger that Morpheus' monomaniacal quest to resurrect The One will upset the already tenuous balance of power within the Matrix."